Who. Is. This. Woman? Kim Kardashian loves Princess Jasmine and has been dressing as Jasmine for Halloween for years, this is true. However, Kim linked up with makeup artist and beauty blogger Kandee Johnson for a Princess Jasmine-inspired tutorial and OMIGOD who is this whimsical Disney Princess and what have you done with Kim Kardashian? 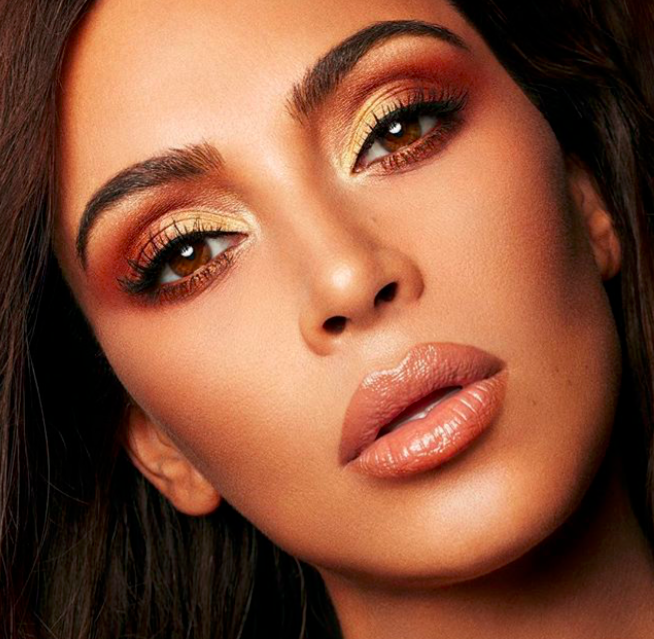 Kim pairs up with MUAs and YouTubers all the time to promote KKW Beauty, but she’ll usually only demonstrates how to contour or how to do a basic smoky eye. Kim has never participated in a full transformation video…until now. 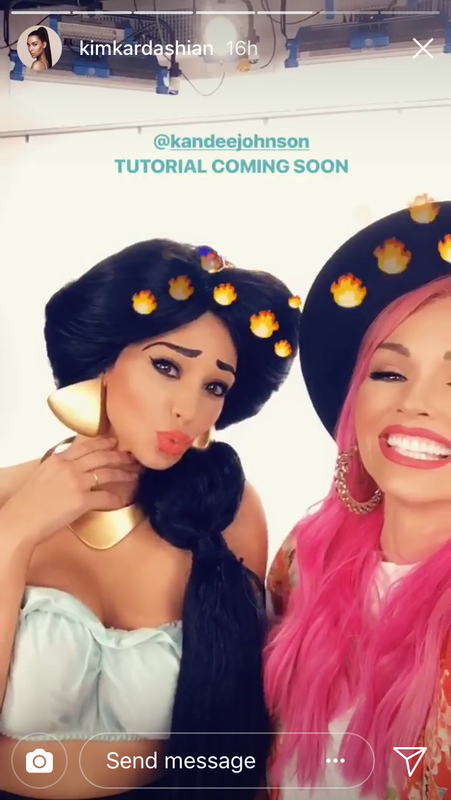 While the actual tutorial isn’t out yet, both Kim and Kandee shared this behind-the-scenes clip with Kim in full Princess Jasmine cosplay. Kim and North West dressed in matching Jasmine costumes for Halloween in 2016, which was cute, but also very costume-y. Kim also went as the iconic Aladdin princess many, many Halloweens ago, we’re talking back in the friends-with-Paris-Hilton era. It’s clear that Kim has an affinity for this particular Disney Princess. Kardashian’s latest Jasmine transformation is so on-point. Just look at those perfect eyebrows. This latest Jasmine incarnation is obviously her best yet. Fun fact: Kim is wearing the same Jasmine costume in both those photos. We wonder if she’s also wearing it in the new tutorial? 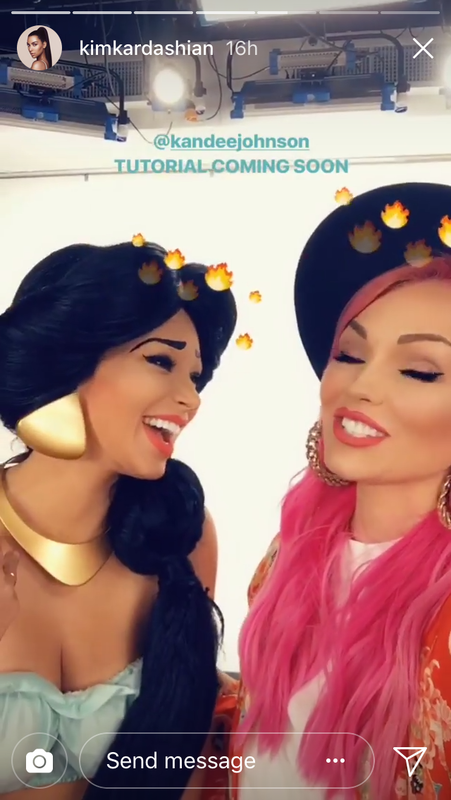 Her Jasmine cosplay is likely being used to promote her collab with makeup artist Mario Dedivanovic, which includes an eyeshadow palette, a lipstick, and two glosses. Tbh, we need this full Jasmine tutorial, like, yesterday.